Bryan Craven. University of Sydney, 1963. 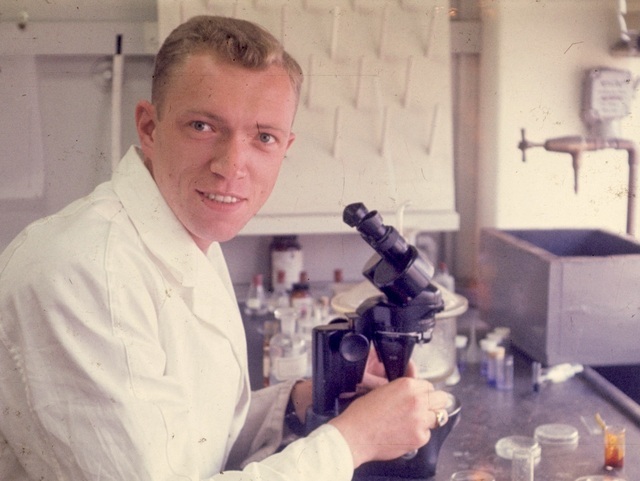 Bob Holland, University of Sydney, 1963. 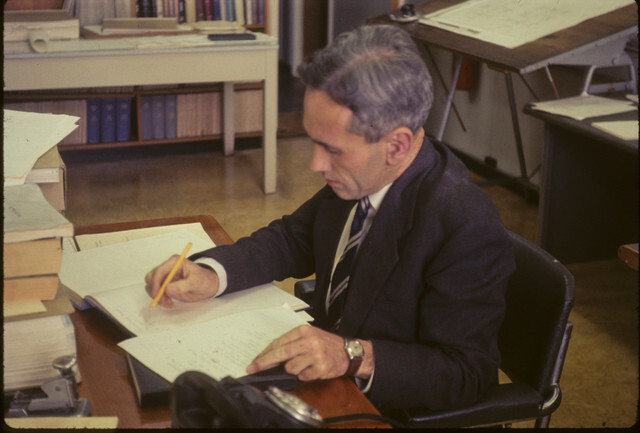 Jan Szymanski, University of Sydney, 1963. 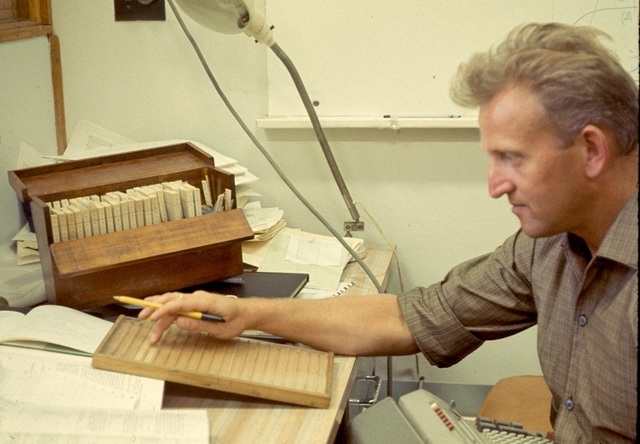 Feri Hanic using Beevers-Lipson strips in the University of Sydney laboratory, 1965. 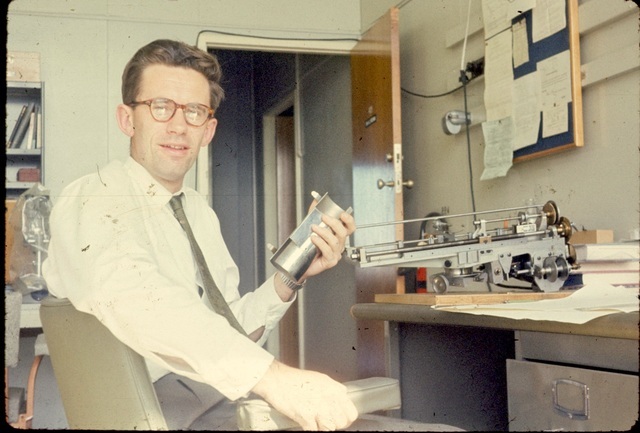 Oliver Briscoe, University of Sydnet, 1967. 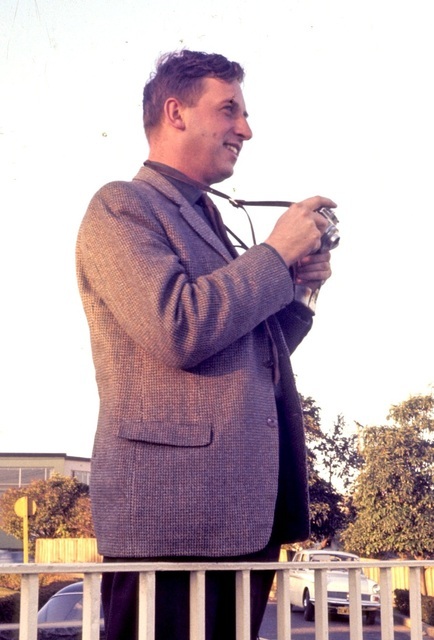 Harry Milburn, University of Sydney, 1967. 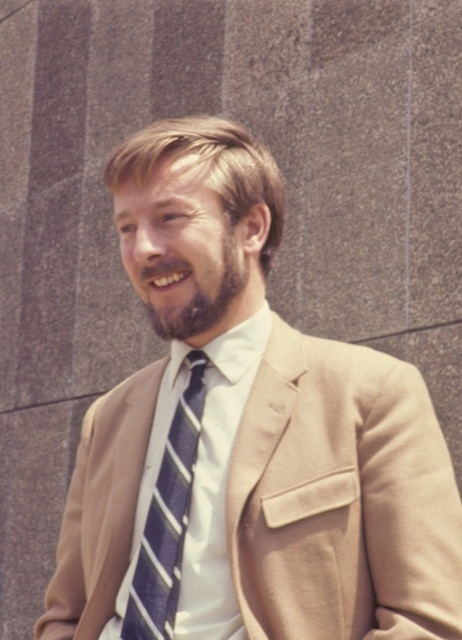 Tony North, University of Sydney, August 1967. 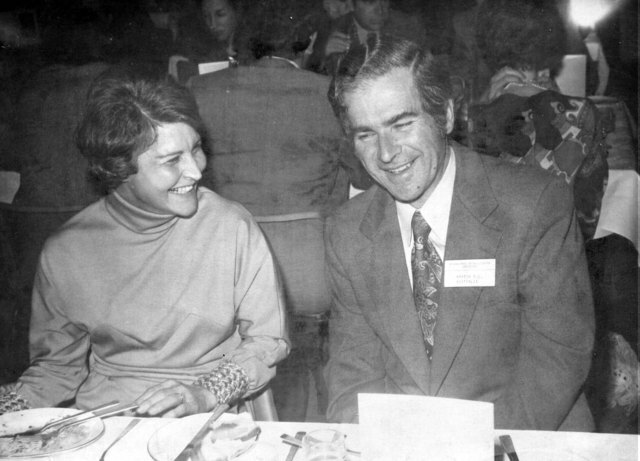 Ruth and Mitchell Guss. 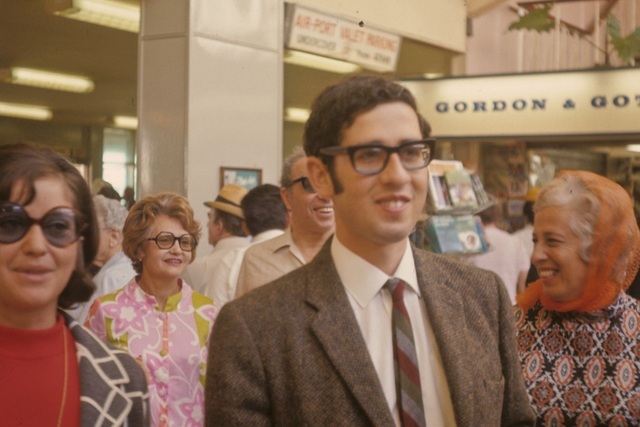 Sydney Airport, March 1970. 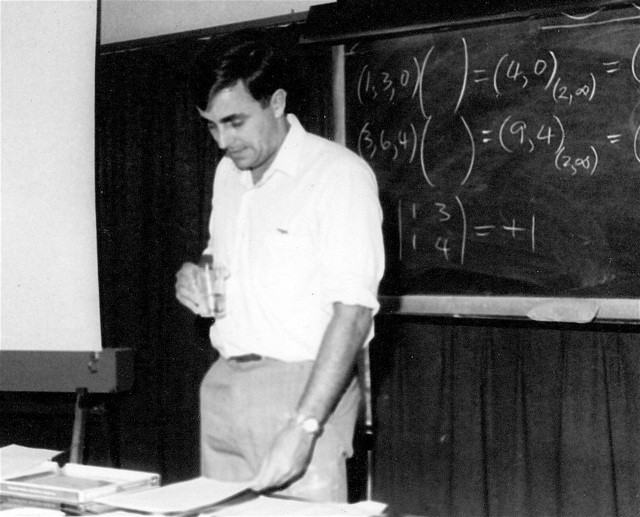 Syd Hall lecturing at the NATO Direct Methods School in Parma, 1970. 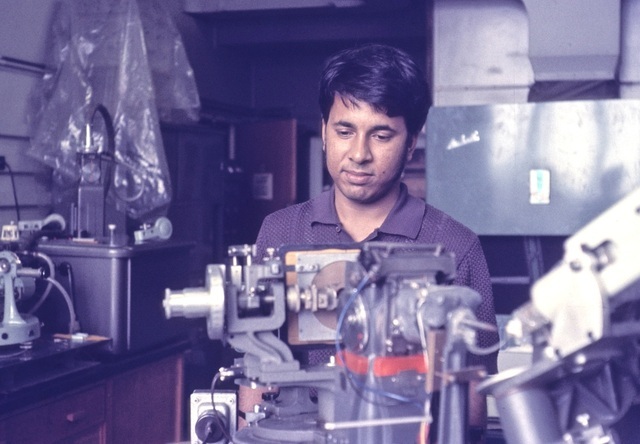 Fazlul Huq, University of Sydney, February 1972. 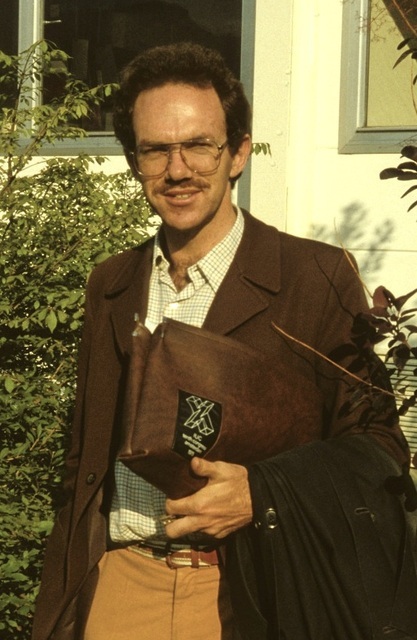 Neil McLeod, University of Sydney, February 1972. 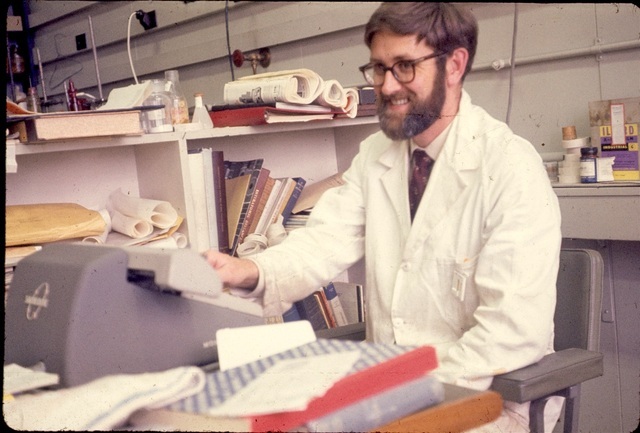 Ivan Taylor, University of Sydney, February 1972. 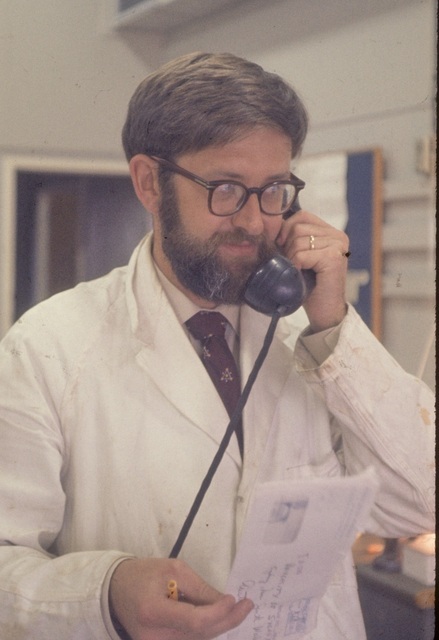 Peter Colman, Guy Dodson. 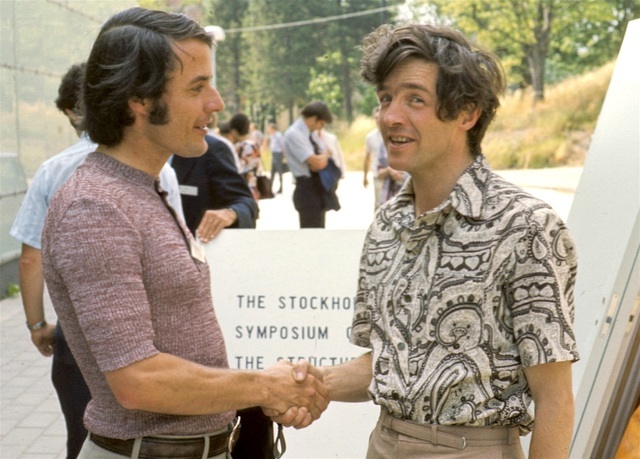 Stockholm, July 1973. 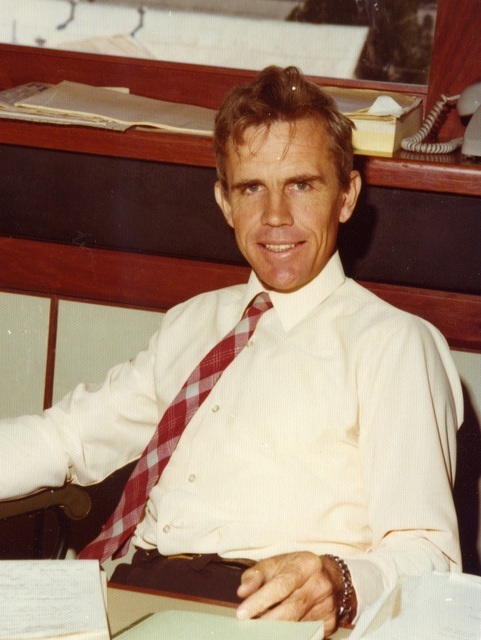 Ted Maslen in his office at University of Western Australia, 1975. 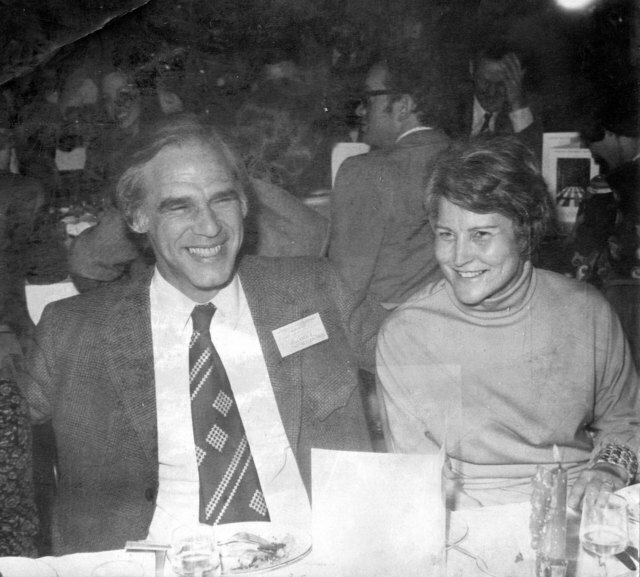 Franz Jellinek and Mick Bevan in Melbourne. Sax Mason. 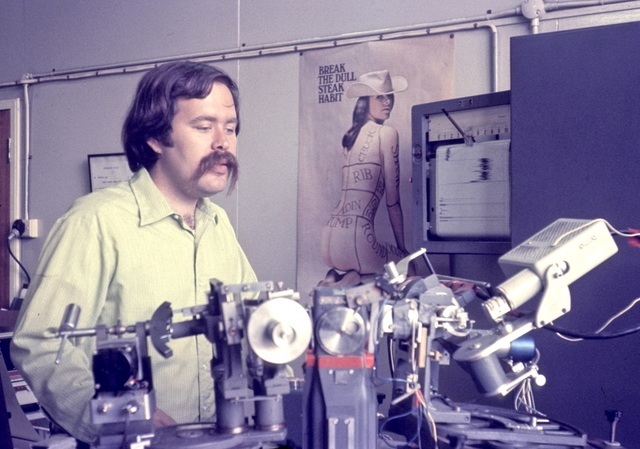 IUCr Congress, Amsterdam, August 1975. Mick Bevan and Ray Martin in Melbourne. 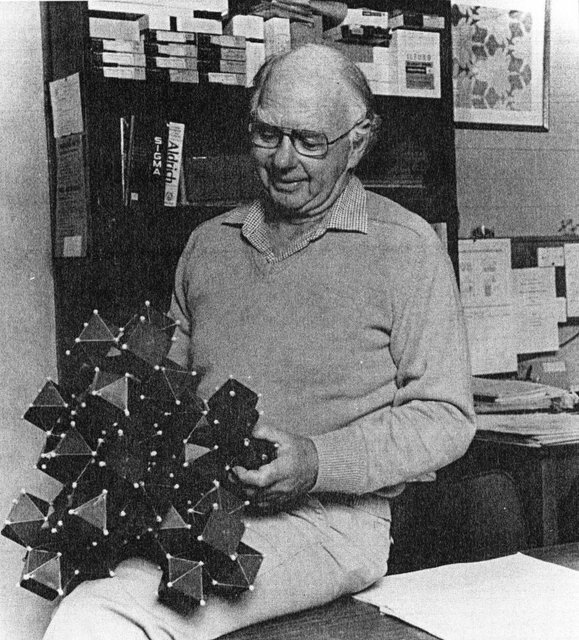 Judge Bevan at Flinders University in 1980 with the model of an anion-excess, fluorite-related phase in the CaF2-YF3 system; first of the so-called 'cuboctahedral clusters'. 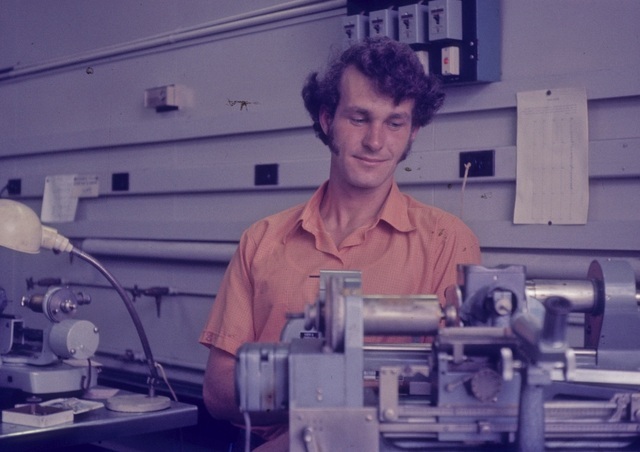 Syd Hall with the newly installed Interdata computer at University of Western Australia in 1980.